By joining BusOnlineTicket.com, commuters can now book KTM Online Intercity train tickets for routes from Kuala Lumpur and train tickets to Kuala Lumpur. The KTM Intercity train service cover some of the most KTM popular routes including train service from Kuala Lumpur to Butterworth, Sungai Petani, Padang Besar and many more KTM Routes. ETS Platinum takes slightly shorter time compared to ETS Gold because they have the lesser stops compared to ETS Gold. 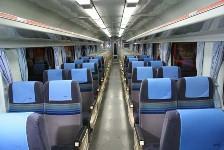 You will also get complimentary snacks served on-board with ETS Platinum ticket. ETS Silver ticket type is only available for ETS train travelling between Kuala Lumpur and Ipoh route. ETS Silver cost the cheapest compared to ETS Platinum route and ETS Gold route but it takes slightly longer time. This is because ETS Silver stops at all operating KTM station in between these two cities. 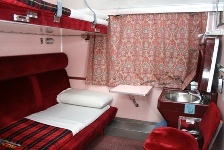 Book your ETS online ticket at BusOnlineTicket.com and secure your seats in advance to avoid disappointment especially during festive seasons. Your ETS online ticket will be confirmed instantly after a successful payment. Booking your ETS online ticket at BusOnlineTicket.com is easy and you also get to save the time and cost to go to the train station. You can also travel between Malaysia and Singapore via KTM Shuttle Train, either from JB Sentral to Woodland CIQ or from Woodland CIQ to JB Sentral. This shuttle service is popular because the locals from Johor Bahru use this train service to go to work in Singapore and back to Johor Bahru every day. Train tickets for the KTM Shuttle Train between JB and Singapore route are also available for online booking at BusOnlineTicket.com. 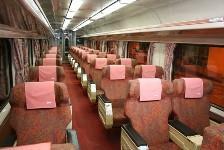 Booking the shuttle train ticket in advance could save up time and ensure a smooth journey. 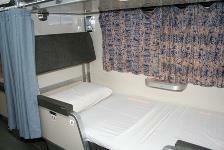 You can also check out the train duration page for more information. KTM routes for train in Malaysia are divided to several lines. Most famous routes are the ETS routes namely the Gemas-Padang Besar-Gemas route and Gemas-Butterworth-Gemas route. 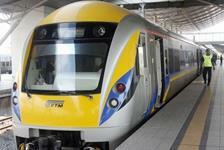 In Gemas, you can change to KTM service that travels between Tumpat and Johor Bahru. In Johor Bahru, train will terminate in JB Sentral, which is the train station that provides the KTM Shuttle service between Johor Bahru and Singapore. KTM route that travels between Tumpat and Johor Bahru are called Ekspres Rakyat Timuran. 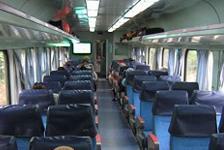 This train service travels on the KTM routes through the states in the east coast of Malaysia. Famous stops includes Wakaf Bharu, Pasir Mas, Gua Musang, Kuala Lipis, Mentakab, Segamat and Kluang. 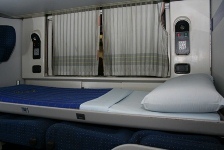 Why go through the hassle when you can easily book your KTM online tickets and ETS online tickets at BusOnlineTicket.com? With our mobile-friendly website, you can book your train tickets from anywhere and at any time that you like. With just a few steps, the booking confirmation for your KTM online tickets or ETS online tickets will be sent to your email. Just print the e-tickets and you are ready to go!